How most people waste their most precious resource (Time) every day. The full chapter on Wasting Your Day will show you how to stop wasting your precious time. There are four tips here, and a lot more in the full chapters in my book. Understanding how people Waste Their Day mean freeing up more time in your day for the activities you love. If you don’t think ahead you can find yourself with an hour to spare and nothing worthwhile to fill it with. By default you might end up window-shopping, channel-flicking or dozing. Always have a plan for your day and a list of things to achieve. If you know you might have to wait for a bus or an appointment, take a good book with you. If you know you will have an hour in town between appointments make a list of the people you need to buy birthday or Christmas presents for. If you know that in any given week you have a couple of evenings free, decide ahead of time that you are going to start on a project or finish something on the house. Are you doing things that other people should be doing? If so they are stealing your time. Are people wasting your time with long phone calls, unproductive meetings, being late for appointments? They are stealing your time. 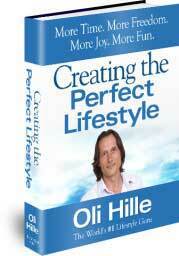 Are your friends or partner asking you to join them in unproductive activities? They are stealing your time. You need to make a conscious decision to stop letting other people take away your most precious resource. Practice saying “No” and claim back your day. Almost all business calls can be concluded within two minutes. Just four fifteen minute phone calls take a precious hour out of your work day. These are a complete time-waster and often a virus threat. I used to get loads of these from friends who clearly had nothing better to do. You can easily waste 15 minutes a day just clearing these emails let alone reading them, replying and forwarding them so you can waste other people’s work time. Here’s a simple equation where T = time and W = wasting. Remember Time is the most valuable commodity you own – guard it and preserve it jealously!